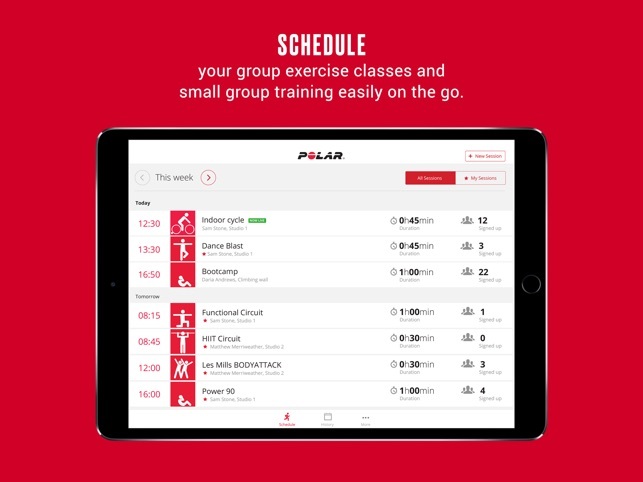 Polar Club is the window to your members’ effort in real- time. 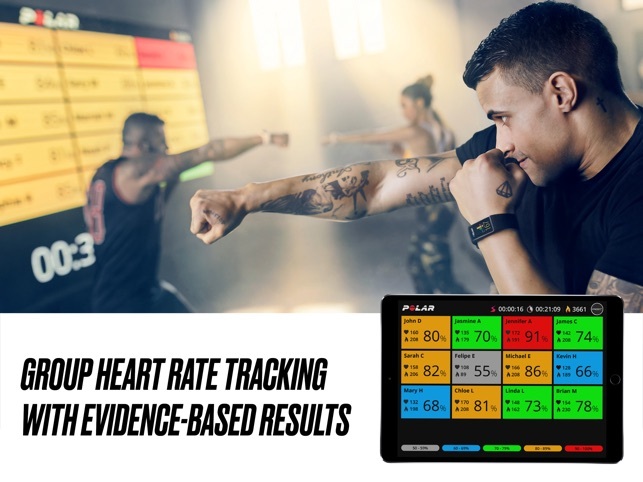 Engage and motivate your members with Polar Club real-time effort tracking that is based on scientifically validated and accurate Polar heart rate zones. Plan and schedule classes, train with live heart rate, guide your members as a group or as individuals, and create a gamified premium experience with fun individual and group rewards. 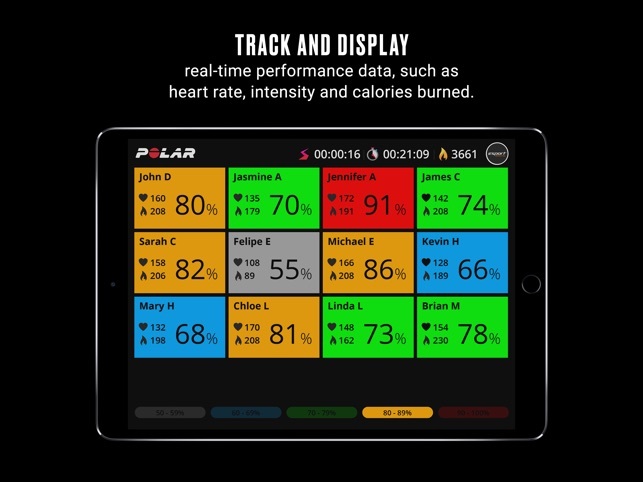 If you're looking for a wearable technology designed for gyms, studios and fitness and health clubs, Polar Club group fitness and gym heart rate app is the perfect solution to drive results and retention. PLAN, SCHEDULE, TRAIN & ENGAGE. All with one app. » Create repeating classes with class templates. » Manage your instructors through instructor invites. 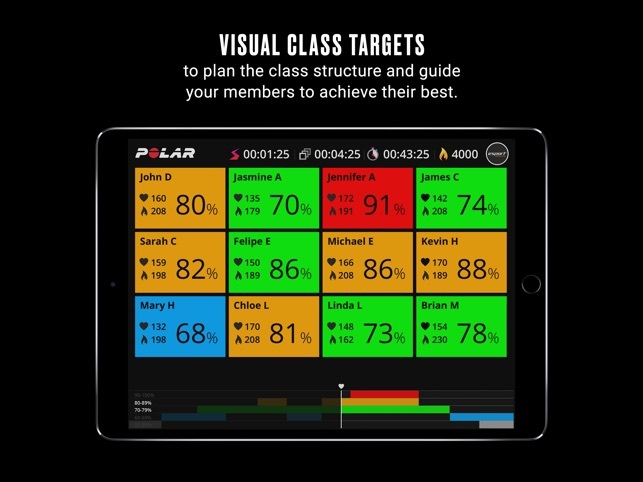 » Set real-time class targets as visual group goals to your class and guide members individually to achieve their best. » Plan your group exercise classes in detail according to the individual heart rate zones with phased workouts. 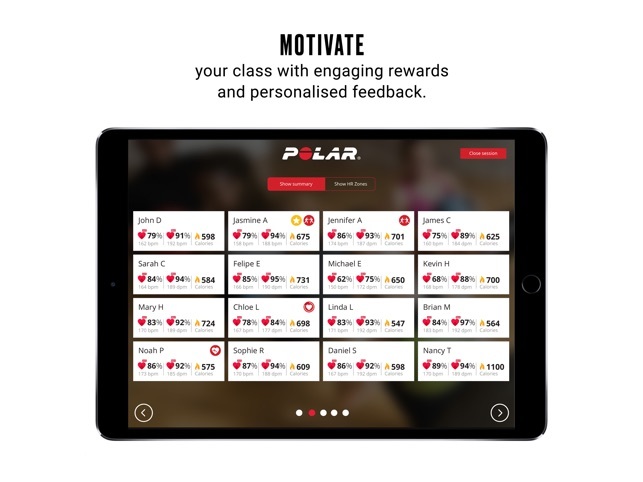 » Track and display your class' effort in real time with a class view for up to 90+ participants and guide them to reach their goals with performance data, such as heart rate, intensity and calories burned. » Motivate exercisers with visually engaging rewards, such as zone time or calorie trophies. 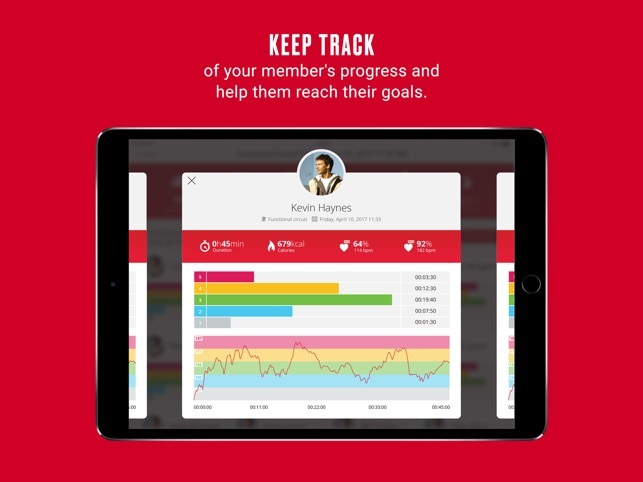 » Keep track of your member’s progress and help them reach their goals with individual rewards, post class summary and automated summary emails. 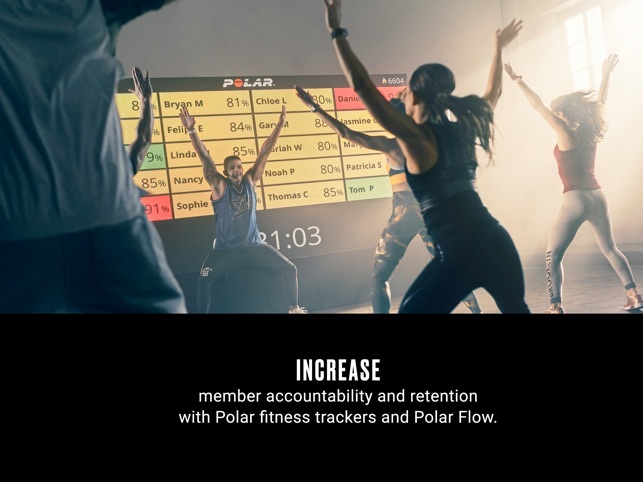 » In Polar Flow your club members can easily check their personal training data and follow their progress as well as share and comment on their own and their friends’ achievements. » Your member's can also share their training data with their PT with the free Polar Flow for Coach service. POLAR CLUB. The most rewarding fitness choice – for your club, for your class, for your heart. You are forced to staff login after registering each new customer. The app restarts the entire iPad in the middle of the class. While the class was running, all of the heart rate monitors froze on the screen but the time was still running. I would suggest having an option to recover a previous session that was lost in the past 10 mins. Staff shouldn't be logged out anytime we need to sign anyone in. There should be an option to sign in past clients without having the client be right next to the iPad if possible. Should have some edit ability when it comes to max heart rates.